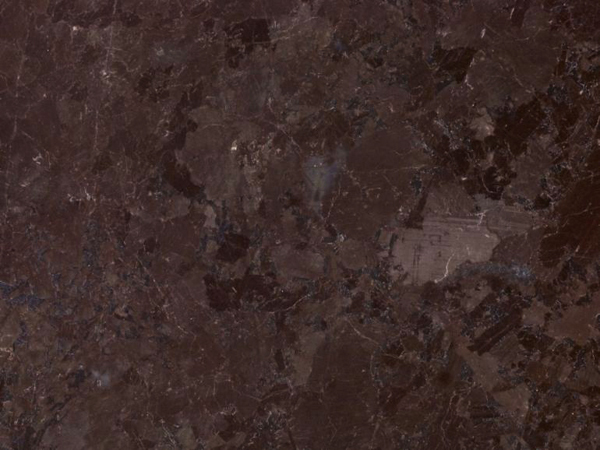 Appearance: Brown do Brasil is a very coarse-grained, black-brown anorthosite of the Precambrian period, formed of unevenly shaped dark brown crystals often with metallic mica reflections and occasional veins. During the polishing process a clear epoxy resin filler may be used to fill any micro fissures. However, this does not affect the integrity of the stone; it merely provides an even smoother surface finish. Properties: Technically an anorthosite, this material is traditionally recognised as a granite, and – as such – is very hard wearing, durable and resistant. It is frost resistant and has a constant polish. Colour variations and movement may occur to some extent, even in the same batch. It is recommended to seal this stone to extend its longevity. However, excessive attempts at sealing it could actually create a residue film build-up. Use: Due to its excellent wear resistance, this natural stone is suitable for all uses, including floor, kitchen worktops and other bespoke stonework in private and public environments. Finishes: Brown do Brasil looks best with a gloss polished surface, but is also available as honed and a number of custom-made finishes.